After upgrading from win8 to win10 no battery is detected. Since this is not a win10 supported device, are there any third party drivers that will help?After upgrading from win8 to win10 no battery is detected. Since this is not a win10 supported device, are there any third party drivers that will help? Uninstall the battery drivers from the device manager. Now click Batteries in the Device Manager window. 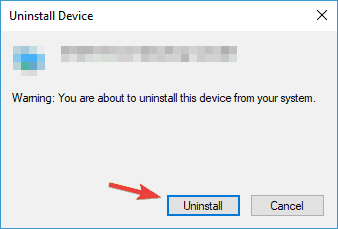 Next, you should right-click Microsoft ACPI-Compliant Control Method Battery and select Uninstall from the context menu. Thanks. Unfortunately, that had no effect. Also, HPSA has no driver update for this product since Win8.1. FWIW, UEFI doesn't detect the battery either. Since you installed Windows 10, and there are no software or drivers available for this PC, you might have to rely on generic windows drivers(Windows update). If you want you can revert back to the original operating system that was shipped with the PC. They might have multiple options to help you with this.